1 James Fisher Pitcock b: September 05, 1850 in Cooktown,Barren Co.,KY.d: December 17, 1933 in Glasgow,Barren Co.,KY. .+Margaret Adeline West b: September 25, 1849 in Barren Co.,KY.m: December 20, 1873 in Barren Co.,KY.d: January 01, 1917 in Barren Co.,KY. 2 Ulysses Stanford Grant Pitcock b: September 29, 1874 in Barren Co.,KY. d: August 22, 1963 in Lamb,Barren Co.,KY. 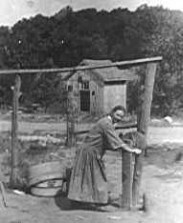 ...+Sally Belle Folden b: June 01, 1873 in Barren Co.,KY. m: October 29, 1900 in Barren Co.,KY. d: January 01, 1945 in Dry Fork,Barren Co.,Ky. 2 Margaret Elizabeth Pitcock b: July 23, 1876 in KY. d: October 03, 1935 in Glasgow,Barren Co.,KY. 2 Louisa Jane Pitcock b: March 03, 1879 in Dry Fork,Barren Co.,KY. d: September 09, 1926 in Glasgow,Barren Co., KY.
...+John Milton Church b: March 22, 1864 in Glasgow,Barren Co., KY. m: March 17, 1912 in Glasgow,Barren Co.,KY. d: April 26, 1956 in Glasgow, Barren Co.,KY. 2 James Fisher Pitcock,Jr. b: December 25, 1879 in Metcalfe Co.,KY. d: July 05, 1950 in Glasgow,Barren Co.,KY. ...+Bertha Cockrum b: February 17, 1890 m: October 30, 1907 in Barren Co.,KY. d: October 31, 1968 in Glasgow,Barren Co.,KY. 2 Robinson Crusoe Pitcock b: March 22, 1882 in Barren Co.,KY. d: September 04, 1957 in Knob Lick,Barren Co.,KY. ...+Bessie E. Freeman m: August 06, 1913 in Barren Co.,KY. ...+Carrie D. Smith b: June 04, 1900 m: December 26, 1920 d: April 11, 1990 in Glasgow,Barren Co.,KY. 2 Franklin Woolford Pitcock b: June 29, 1884 in Barren Co.,KY. d: April 13, 1942 in Barren Co.,KY. ...+Ora Bert Houck m: December 19, 1916 in Barren Co.,KY. 2 Melvin Chisadeck Pitcock b: August 02, 1888 in Dry Fork,Barren Co.,KY. d: May 13, 1965 in Porterville,Tulare Co.,CA. ...+Mary Kathryn Bailey b: February 24, 1897 in Woodburn,Warren Co.,KY. m: April 06, 1918 d: March 15, 1970 in Porterville,Tulare Co.,CA. 2 Elijah Parker Patterson Pitcock b: February 22, 1890 in Barren Co.,KY. d: November 17, 1959 in Barren Co.,KY. 1 Henry Patterson Pitcock b: March 23, 1822 in Monroe Co.,KY. d: January 25, 1908 in Barren Co.,KY. .+Lewisa Jane Holland b: August 03, 1832 in Morgan Co.,TN. m: January 05, 1846 in Monroe Co., KY. d: December 28, 1860 in Barren Co., KY.
2 John H. Pitcock b: July 15, 1847 in KY. d: March 31, 1848 in KY.
...+Kitty Ann Harrison b: September 09, 1850 in KY. m: September 11, 1869 in Barren Co.,KY. 2 James Fisher Pitcock b: September 05, 1850 in Cooktown,Barren Co.,KY. d: December 17, 1933 in Glasgow,Barren Co.,KY. ...+Margaret Adeline West b: September 25, 1849 in Barren Co.,KY. m: December 20, 1873 in Barren Co.,KY. d: January 01, 1917 in Barren Co.,KY. 2 William Louis Pitcock b: December 18, 1852 in Barren Co.,KY. d: March 12, 1942 in Allen Co.,KY. ...+Rebecca Frances Shockley b: January 07, 1859 in Allen Co.,KY. d: April 6, 1906 in Allen Co.,KY. ...+Mary Isiebell Carver b: March 9, 1859 d: October 02, 1915 in Allen Co.,KY. 2 Sarah Elizabeth Pitcock b: November 15, 1854 in Glasgow,Barren Co.,KY. d:October 11, 1923 in Kleberg,Dallas Co.,TX. ...+Henry Payne b: Oct 11, 1851 in Glasgow,Barren Co.,KY. m: October 04, 1873 in Barren Co.,KY. d: January 13, 1929 in Kleberg,Dallas Co.,TX. ...+Sarah Woods m: July 07, 1877 in Barren Co.,KY. ...+Eliza Lida Neal b: 1864 in IN. m: October 28, 1885 in Henderson Co.,KY. 2 Thomas Washington Pitcock b: June 22, 1858 in Barren Co.,KY. d: January 11, 1917 in Dallas,Dallas Co.,TX. ...++Fannie L. Myers b: July 1857 in MS. m: December 08, 1886 in Dallas,Dallas Co.,TX d: January 19, 1928 in Dallas,Dallas Co.,TX. ....Jennie Bausch b: April 10, 1863 in Columbus,Franklin Co.,OH. d: Apr 27, 1916 in Dallas,Dallas Co.,TX. 2 Ephram Cooper Pitcock b: October 26, 1860 in Metcalfe Co.,KY. d: January 10, 1944 in Barren Co.,KY. ...+Margaret Hicks b: January 18, 1859 in TN. m: December 12, 1881 in Barren Co.,KY. d: September 15, 1920 in KY.
...+Lucy Frances "Fannie" Bowles b: January 22, 1862 m: June 06, 1921 in Barren Co.,KY. d: March 10, 1927 in Barren Co.,KY. ...+Josephine "Josie" Deland b: January 01, 1870 in TN. m: August 22, 1927 in Barren Co.,KY. d: September 11, 1945 in Barren Co., KY.
.+Elizabeth Thompson b: November 22, 1843 in Barren Co.,KY. m: May 14, 1861 in Barren Co.,KY. d: March 03, 1934 in Peters Creek,Barren Co.,KY. 2 George Hockens Pitcock b: June 02, 1863 in Barren Co.,KY. d: January 8, 1945 in Oakwood,Vermilion Co.,IL..
...+Mary Elizabeth Cook b: March 20, 1863 in Barren Co.,KY. m: February 27, 1884 in Barren Co.,KY. d: April 30, 1936 in Oakwood,Vermilion Co.,IL..
2 Wesley Garrett Pitcock b: October 26, 1864 in Barren Co.,KY. d: February 26, 1945 in Lucas,Barren Co.,KY. ...+Lucinda G. Rigney b: March 17, 1870 in Clinton,Anderson Co.,TN. m: November 24, 1888 in Barren Co.,KY. d: June 10, 1946 in Barren Co.,KY. 2 Nancy Jane Pitcock b: September 18, 1866 in Barren Co.,KY. d: March 03, 1925 in Barren Co.,KY. 2 Lucy Ann Pitcock b: July 12, 1869 in Barren Co.,KY. d: April 23, 1954 in Bowling Green,Warren Co.,KY. ...+Joseph Henry Jones b:July 01, 1863 in Barren Co.,KY. d: September 02, 1937 in Allen Co.,KY. 2 Allace Hall Pitcock b: October 09, 1871 in Barren Co.,KY. d: August 23, 1964 in Glasgow,Barren Co.,KY. ...+Hezekiah Kige Osborne b: July 27, 1872 in Barren Co., KY. m: November 29, 1898 in Barren Co.,KY. d: August 20, 1940 in Barren Co.,KY. 2 Susan Clementine Pitcock b: April 27, 1874 in Barren Co., KY. d: October 31, 1957 in Louisville, Jefferson Co.,KY. ...+Hardin D. Bradshaw b: June 9,1864 in Glasgow,Barren Co.,KY. m: May 23, 1898 in Barren Co.,KY. d: April 6, 1938 in Louisville,Jefferson Co.,KY. 2 Amanda Jane Pitcock b: April 05, 1876 in Barren Co.,KY. d: August 30, 1956 in Lucas,Barren Co.,KY. ...+J. T. Jackson m: March 20, 1897 in Barren Co.,KY. ...+Clem D. Moore b: August 29, 1876 in Barren Co.,KY. m: April 07, 1899 in Barren Co.,KY. d: March 28, 1951 in Glasgow,Barren Co.,KY. 2 Peggy Isabell Pitcock b: January 07, 1879 in Barren Co.,KY. d: 1961 in Quinter,Gove Co.,KS. ...+John Tilden Spillman b: April 14, 1876 in Roseville,Barren Co.,KY. 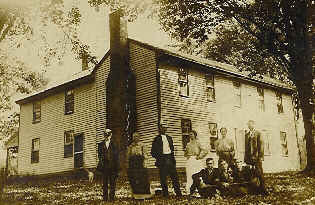 m: May 03, 1903 in Barren Co.,KY. d: 1948 in Quinter,Gove Co.,KS. 2 Mary Garfield Pitcock b: January 19, 1881 in Barren Co.,KY. d: September 30, 1972 in Glasgow,Barren Co.,KY. ...+Delucian "Dee" L. Landrum b: January 30, 1880 in Barren Co.,KY. m: October 26, 1901 in Barren Co.,KY. d: January 12, 1914 in Barren Co.,KY. ...+Thomas Jefferson Winn b: May 9, 1871 in Barren Co.,KY. m: Aft. 1914 d: June 09, 1953 in Glasgow,Barren Co.,KY. 2 Henry Dee Pitcock b: June 13, 1883 in Barren Co.,KY. d: May 20, 1966 in Glasgow,Barren Co.,KY. ...+Maymie Page Lewis b: April 01, 1888 in Barren Co.,KY. d: November 02, 1964 in Glasgow,Barren Co.,KY. 2 Julia Pitcock b:May 23, 1885 in Barren Co.,KY. d: November 01, 1971 in Glasgow,Barren Co.,KY. ...+William Thomas Settle b: September 18, 1884 m: June 17, 1904 in Barren Co.,KY. d: January 25, 1971 in Barren Co.,KY. 2 Cora Elizabeth Pitcock b: August 24, 1887 in Barren Co.,KY. d: February 21, 1920 in Barren Co., KY.
...+Page Elmore,Jr. b: July 20, 1890 m: December 22, 1908 in Barren Co.,KY.d: July 14, 1968 in Glasgow,Barren Co.,KY. 1. Henry Patterson Pitcock, born March 23, 1822 in Monroe Co.,KY. ; died January 25, 1908 in Barren Co.,KY.. He was the son of 2. John Fisher Pitcock and 3. Sarah Miller. He married (1) Lewisa Jane Holland January 05, 1846 in Monroe Co., KY.. She was born August 03, 1832 in Morgan Co.,TN., and died December 28, 1860 in Barren Co., KY.. She was the daughter of John H. Holland and Mary //. He married (2) Elizabeth Thompson May 14, 1861 in Barren Co.,KY.. She was born November 22, 1843 in Barren Co.,KY., and died March 03, 1934. 2. John Fisher Pitcock, born 1797 in Frederick Co.,VA. ; died January 25, 1859 in Monroe Co.,KY.. He was the son of 4. John Pitcock and 5. Mary Fisher. He married 3. Sarah Miller Abt. 1821. 3. Sarah Miller, born 1799 in TN. ; died 1869 in Monroe Co.,KY..
1 i. Henry Patterson Pitcock, born March 23, 1822 in Monroe Co.,KY. ; died January 25, 1908 in Barren Co.,KY; married (1) Lewisa Jane Holland January 05, 1846 in Monroe Co., KY.; married (2) Elizabeth Thompson May 14, 1861 in Barren Co.,KY..
ii.Leonard Jackson Pitcock, born Abt. 1825.
iii. Mary Pitcock, born Abt. 1826.
iv. Elizabeth Pitcock, born Abt. 1828.
v. John F. Pitcock, born Abt. 1829.
vi. James Y. Pitcock, born Abt. 1832.
vii. Stephen Thomas Pitcock, born January 10, 1833.
viii. Richard H. Pitcock, born Abt. 1836; married Jerusia Pitcock; born Abt. 1827.
ix. Sarah Pitcock, born 1839.
x. Michael Pitcock, born 1842.
xi. Forster Pitcock, born 1844.
xii. Sarah Miller Pitcock, born 1845. 4. John Pitcock, born 1766 in Frederick Co.,VA. ; died 1859 in Monroe Co.,KY.. He was the son of 8. Stephen Pitcock and 9. Rachel Perkins. He married 5. Mary Fisher February 15, 1791 in Berekley Co.,WV. 2 i. Stephen B. Pitcock, born 1792 in Frederick Co.,VA. ; died September 06, 1874 in Monroe Co.,KY; married Nancy Simmons March 20, 1810 in Jonesborough,Washington Co.,TN. iii. Hannah Pitcock, born 1797 in Frederick Co.,VA. iv. Elizabeth Pitcock, born 1798 in Frederick Co.,VA. v. Thomas Pitcock, born 1800 in Frederick Co.,VA. or Washington Co.,TN. ; died 1890 in Monroe Co.,KY; married Rebecca Bales January 05, 1828.
vi. Aaron Pitcock, born February 04, 1804 in Washington Co., TN. ; died June 03, 1881 in Monroe Co.,KY. vii. Annie Pitcock, born June 23, 1808 in Washington Co., TN. ; died September 12, 1890 in Monroe Co.,KY. viii. Labron Pitcock, born 1809 in Washington Co., TN. died 1894 in Cumberland Co.,KY. ix. Sarah Pitcock, born 1812 in Washington Co., TN. ; died October 13, 1854 in Monroe Co.,KY. x. Jerusha Pitcock, born 1814 in Washington Co., TN. xi. Jesse J. Pitcock, born 1816 in Washington Co., TN. 8. Stephen Pitcock, born 1723 in Frederick Co.,VA. ; died 1815 in Frederick Co.,VA.. He was the son of 16. Thomas Pitcock. He married 9. Rachel Perkins March 21, 1749 in Christ Lutheran Church,York Co.,PA..
9. Rachel Perkins, died Bef. 1804 in Frederick Co.,VA..
i. Moses Pitcock, born 1751 in Frederick Co.,VA. ii. Emanuel Pitcock, born 1753 in Frederick Co.,VA. iii. Jerusha Pitcock, born 1765 in Frederick Co.,VA. 4 iv. John Pitcock, born 1766 in Frederick Co.,VA. ; died 1859 in Monroe Co.,KY; married Mary Fisher February 15, 1791 in Berkley Co.,VA..
8 i. Stephen Pitcock, born 1733 in Frederick Co.,VA. ; died 1815 in Frederick Co.,VA; married Rachel Perkins March 21, 1749 in York Co.,PA..
Louisa Jane Pitcock was 33 years old when she married for the first time. She married John M. Church, who had lost his 1st wife three years prior. At the age of 47 Dr. Clifton Richards operated on her for appendicitis, and she died from complications. Her death was recorded as peritonitis, contributory: ruptured appendix. She is buried in the Glasgow Municipal Cemetery. At that time in 1926, there were not many burials using vaults. She told her husband before she died that she wanted one. It had to be shipped from St. Louis and was very expensive at that time. James Fisher Pitcock & Margaret Adeline West Picture taken 1906. If anyone has any more pictures of them, I would love to have copies. James F. & Margaret A. Pitcock Young's Cemetery in Dry Fork, Barren Co., KY. They are buried outside the fence. I have not found an explanation for this. If anyone pleases contact me! in Dry Fork, Barren Co., KY.
in Glasgow, Barren Co., KY.
in Cooktown, Barren Co., KY. He was born on his father's farm near Cooktown, Barren Co., Ky., and grew to manhood there. He married Margaret Adeline West on Dec. 20, 1873, and then moved to the Thomerson place about 1 1/2 miles south of Cooktown. 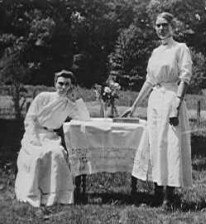 They lived there until approximately 1895; at that time he moved to the Thompson Russell Place near Peters Creek, Barren Co. He later moved to a farm at Knob Lick, Metcalfe Co., KY. in about 1908, and then moved to a farm near Glasgow. They are buried in the Young Cemetery, at Dry Fork, Barren Co.,Ky. Their graves are buried outside the fence. Stone reads 1847 as year of birth, but from parent's family Bible date is recorded as 1850. He was born in 1822 although his tombstone reads clearly 1821. He is buried in the Allen Cemetery near Allen's Cross Roads. He was recieved into Concord Baptist Church, by letter, on the 1st Saturday in June, 1867. he was quite active in the church, but on the first Saturday in August, 1874, "requested his letter of dismission", along with Elizabeth Pitcock, William L. Pitcock, James Fisher Pitcock, Margaret A. Pitcock, Steven H.T. Pitcock, and Thomas W. Pitcock, "in order to be Constituted into a church at a new meeting house near Uriah W. Cooks." This was Pleasant Point Baptist Church, at Cooktown. I have also seen his middle name posted as 'Powell'. Copyright � 2002 - Laura J Stewart - All rights reserved. or republished without my express written permission. No connection to my web page. Disclaimer: The information contained above is correct to the best of my ability. If you find any mistakes, they were not intentional & will be corrected immediately upon notification of error. Also, please notify me of any broken links. Sam was killed at an early age. From notes of Irene Pitcock Slocum's notes she tells of some of the gossip surrounding the incident. The accuracy of the tale cannot be verified. "Sam Pitcock, Jim Fisher's brother, had gotten involved with a young lady from Allen County, A Miss Maynard by name. As all proper gossip must have it, Miss Maynard was, by and by, in a "family way", or (as some have said), she was "slightly" pregnant. Sam. according to "Fish", was in love with the girl (or perhaps feared her father), and was going to do the proper thing by her. He raised what money he could, and started off to Allen County. Jim Fisher gave him a ride in his farm wagon for a part of the way. Jim Fisher said he recalled Sam talking about the situation he was in, and, as they neared the Barren River, they commented on the rising thunderstorm and what bad weather Sam was to have on the remainder of the trip. They parted, and Sam was never seen again. They worried - - Julia Settles said her mother used to say when Julia was a child, "Oh! Poor, Poor Sam" - - and I presumed they searched, but to no avail. It's said that Miss Maynard had her child - Sam Maynard. The local folks called him "Little Sam Pitcock", and I suppose Sam was cursed bitterly by those who must have surely thought Sam had run out on his paternal obligations. Years later (I've heard it was 44 years), a man named Hood (I think it was Robert Hood) confessed on his deathbed that he had killed Sam Pitcock in order to rob him. He took Sam's money and a gold watch, and had hidden his body in Wildcat cave, somewhere near where "Fish" had let Sam out of his wagon. A search was made, and sure enough, Sam's bones were there - - just where Hood said he put them." The above was recorded by John Ray Pitcock, son of Elzie Ray Pitcock, 1969." Notes from my mother,Emma Church Stewart, also adds: Sam had $400 dollars & gold watch that were stolen. The man named Hood who killed him was hired by Mr. Maynard and was given $500 for doing it. Sam was going to pick up the Maynard woman and they were going to Texas to live. The "Sam Maynard" lived in Scottsville and owned & operated a lumber company there. Notes from Martha Powell Reneau states that her grandfather, John Ephriam Powell, lived in the Austin-Tracy neighborhood at the time, and he told this: " Sam Pitcock left his wife and was going to marry Hick Maynard's daughter. Fish Pitcock set himself across the river. He had $2,600. He was never seen again and people thought that Hick Maynard killed him, but years later another man confessed on his deathbed that he had done it. When a new road was made later, the skeleton was found." Other rumors say that they made it to TN. to live & spread the rumors of his death. This page last updated on March 17, 2004. Any donation to my research is greatly appreciated. Thank you! If anyone has a Pitcock link you would like added, please contact me.